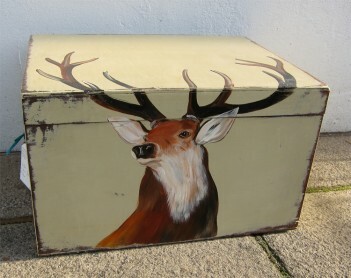 A unique, handpainted trunk/chest. The lift up lid reveals ample storage space inside (with a couple of divided sections for smaller items). We think it is fabulous! We also have a couple of similarly themed, tool cases which make perfect drinks cabinets.